Daryl Johnson (Worcester Park, United Kingdom) on 16 July 2014 in Documentary & Street. A day out for these nursery school children in Okayama. Great capture og this school outing Daryl! A great and safe idea to make the kids wearing identical hats. @Richard Standley: Thanks Richard - another very typical thing they do in Japan! 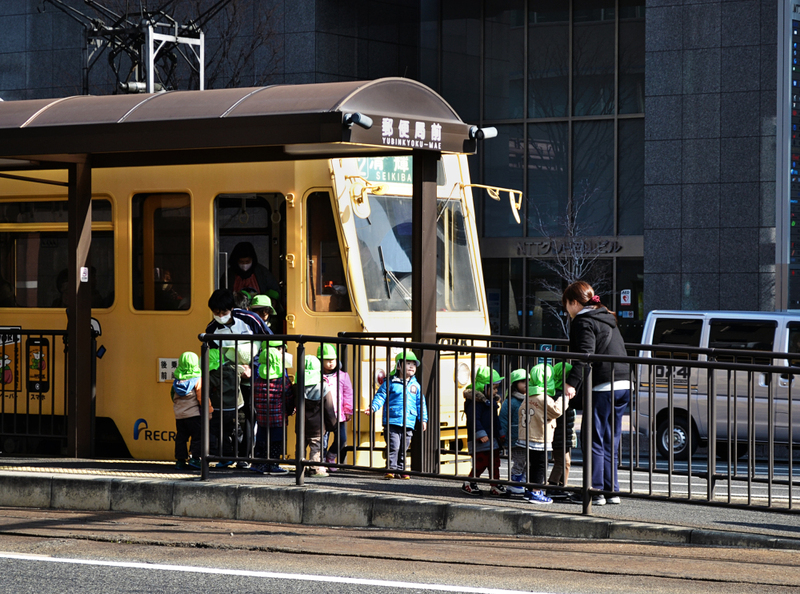 A wonderful shot of the kids and the streetcar. A fun and exciting day for those tikes.